It was not a surprise that I am the only guy that won in the contest by Makeup by Marj Sia. Well after all Garnier products are commonly used by women however the Garnier Eye roll-on that they are giving away is a unisex item. So I joined the contest and after two weeks I did won. There are a total of ten winners and each winner will get a gift pack from Garnier Philippines. 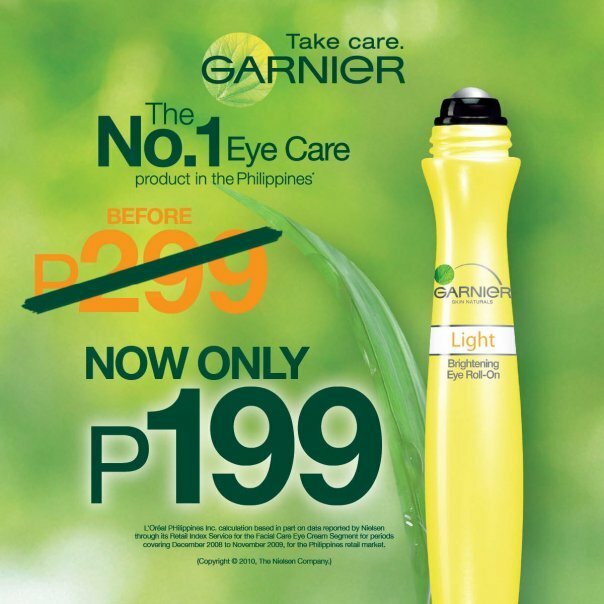 The gift pack includes a Garnier Eye roll-on + Light Complete whitening cream. Here are the winners of the contests as posted at Makeup by Marj Sia. Makeup by Marj Sia also announced upcoming contests which includes Maybelline Philippines, Red Mango Philippines & LAY BARE WAXING SALON GC's. So if you are not yet a member do LIKE Makeup by Marj Sia.